When I was little, the side of my metal money box from the State Savings Bank of Victoria (defunct now, taken over by the Commonwealth Bank) used to say "Great oaks from little acorns grow." We'd put in our pennies, and sometimes threepences and take them to the bank where the teller would unlock the box, count the coins and enter the result in our passbook, and the total of our savings would gradually grow, just like the great oaks that grew in the Botanical gardens and along many memorial drives in country towns. Wattle Day was celebrated on the first day of spring, when people were encouraged to wear a sprig of wattle, or buy a badge, with the proceeds going to charity. I even have a vague memory of stalls in Swanston Street selling goods in aid of children's charities on Wattle Day. More recently it has been celebrated as a way to mark those who have brought "GOLD" to Australia that year so last year Cadel Evans was hailed for his victory in the Tour de France and Melbourne turned out in gold to welcome him. Do your children recognise an oak tree of a wattle? Do they know the perfume of brown boronia or yellow jonquils? Do they roll down hills, and kick piles of leaves? Have they 'listened to the waves' by holding shells up to their ears, or watched the clouds moving in the sky, making shapes, blowing along? In short, are they in touch with the natural world around them? It's not necessary to become a tree hugging greenie to be aware of the changes that happen through the seasons in our natural world, but simple observation can enrich our lives. It is for this reason, I think that the expression 'grounded' is used to describe those who are emotionally stable and aware of what is really important in life. This is not a case of saying "put on your hats and come outside, we are going to look at the flowers and learn their botanical names", or " now it is time to go for a walk and find three different trees"! It is rather a case of having fun, looking at things carefully, talking about them in age appropriate terms, perhaps finding out more about what you have seen by looking at books or the computer. But to be able to do this, adults need to open their own senses to nature. It's not boring old stuff that fills the gap between the fence and house, or between the footpath and road, it's an exciting world for children to explore, to use all their senses and to respond to creatively. Sunday 29th July is National Tree Day: what better place to start than to plant a tree, or if you don't have room, plant some seeds, or even start to grow carrot tops on damp cotton wool. 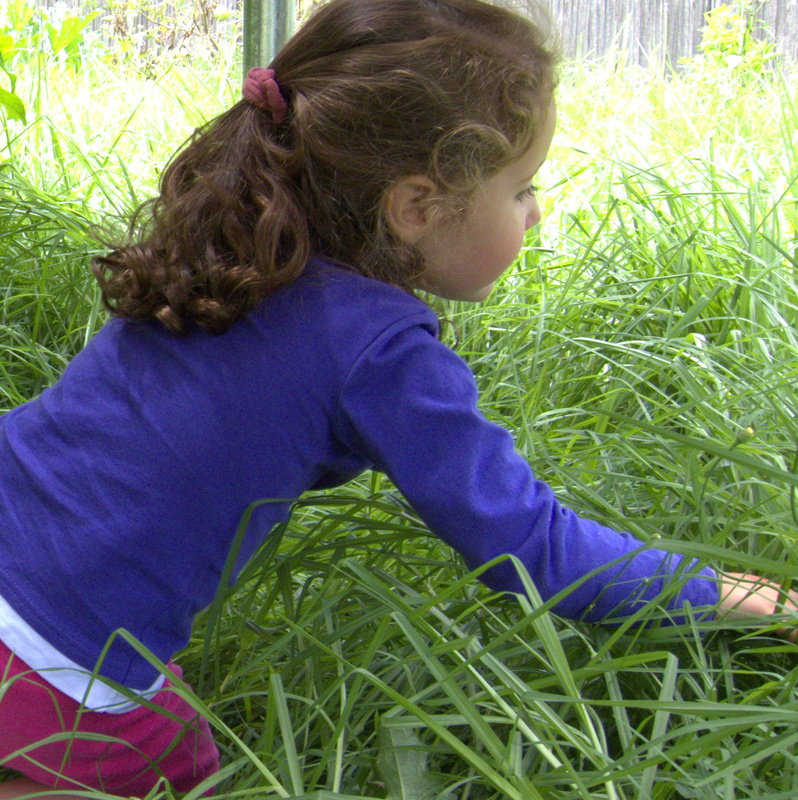 The Age also makes some suggections on how to make the garden a fun place for kids. 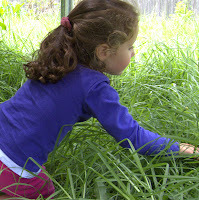 I've just read an excellent blog about the benefits to children of playing in the natural environment. It also looks realistically at adults' fears about the dangers of such play.